This week here at Osho Viha, we are busy with the mailing of our Viha Connection magazine. The topic of the Special Section is "Clearing the Ground: Therapy and Meditation." Osho’s insights into our minds and beings have been an incredible gift for us all. His guidance on how to use meditation and therapy together to heal, to go deep, and ultimately to go beyond the mind has been priceless. 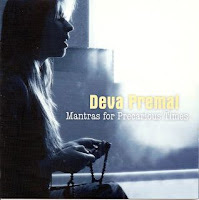 For the November/December 2009 issue of the Viha Connection magazine we asked six writers, several of them Osho therapists, to share their unique experiences with meditation and therapy as they’ve used both to clear the ground for something precious in their lives. Below is one of the articles, followed by Osho quote on the topic. This topic brought up many memories for me. It was 1968, and I was 16 years old, growing up in Marin County, California. Flower power was in full bloom, and Indian gurus were coming to the Bay Area, leading meditations, giving talks and shaktipat, and opening ashrams. I was meeting people who were doing Transcendental Meditation, and, with a written note from my parents (who were communists and did not want me involved in anything religious but finally said yes), I hitchhiked two hours to Berkeley and was initiated into Indian spirituality. I did TM every day for 20 minutes in the morning and evening. I was more relaxed and had a longing to find more of myself, so I became a TM teacher, completing a nine-month retreat with Maharishi. During that retreat I was reading The Primal Scream by Janov and questioning the TM leaders. I felt that therapy was also needed for growth. They disagreed, which ended my relationship with the TM movement. In the next three years I learned a form of deep structural bodywork called Postural Integration (P.I. ), and kept studying different forms of healing, such as shiatsu and acupuncture. By 1975 I was living in San Diego and had a thriving practice. Many orange-clad people were coming to me for sessions and workshops. These were disciples of Osho – wild, fun, and wonderful dancers. I started to read and listen to Osho. 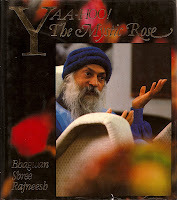 Needless to say, I fell in love with two beautiful sannyasin women, and most of all, with Osho. In a couple of months I was flying to Pune to meet the Master in His commune. Once there I did all the group therapies that Osho told me to do. The last one was the Encounter group with Teertha, who was the top therapist in the commune at the time. This group changed my life; it was the first time I was confronted with my narcissism in a big way. I had an inflated image of myself, and at the very beginning of the group Teertha told me he was going to make me the lowest person in the group. I was shattered, but by the end of the group he found a way to put me back together. Something had shifted in me: I was more vulnerable and open. At Osho’s suggestion I soon joined the group department, leading groups in dance and body awareness and doing P.I. sessions. At this time the ashram had one of the best group departments on the planet; there were therapist and healers from all over the world. Around 1978 Osho said that all meditators should have deep bodywork. I was one of the practitioners of such work in the ashram. We were fully booked; everyone wanted sessions. He said this because He saw that meditation could not release the deep holding pattern in the body. 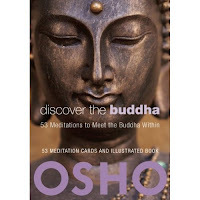 Sitting with Osho every day, I was learning how to be with myself, sit still, and slow down my mind. It had always been difficult for me to contain my energy; I felt compelled to express it and was always “out.” So with meditation I was learning to contain this energy within myself. Osho was blowing our minds. He was a living example of what He was speaking about. He pointed to the spiritual core of life and embodied in truth as an example of someone living in freedom and grace. He included therapy in all its forms for a reason: He knew we needed it! 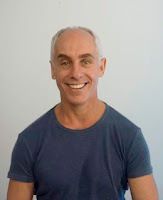 We Western seekers have problems around early childhood abuse, difficulties with relating and sexuality, to name a few of our problems, and often need outside intervention from a therapist. I never thought of choosing: I meditated and received therapy. Therapy has been valuable for me in my process of staying sane and growing. Therapy brings self-inquiry into areas I do not know how to contact on my own. My deep personal work and my spiritual work seem to unfold together. As my body, mind, heart, and spirit open, new layers of depth and self-love appear, and new layers of resignation and ego are revealed. Just through meditation I do not see my protection so clearly. I need the eyes of a good healer to point out my subtle and not-so-subtle layers of defense, to untangle the past from the present. This can be in the form of bodywork to release the holding patterns in the body and open the pathways of energy, or through individual or group therapy to explore my old wounds of grief and abandonment, to learn how to communication better in my relationships. Here therapy seems much quicker and more successful than meditation. It has been a belief that meditation leads us to higher truths and therapy works with our lower self, our problems and issues. Ultimately this is true, but in my day-to-day life, it seems to me that there is no separation. As I meditate I open to more consciousness and come across pain that has been stored in my body, emotional pain felt as body sensation. This pain is there because I feel frustrated with work or stuck in some pattern. Meditation can help, but in my life I have found that therapy is much more specific and supports me to move deeper into my awareness to undo these patterns. I think this is unique for each of us. 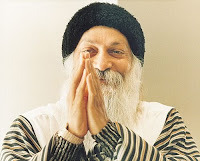 Living with Osho for many years I saw how He treated each person individually: For some He would recommend therapy, for others He would say it was not needed. I have a personal story about this. At one point I gave Osho Rebalancing sessions every day for almost three months, which was one of the most amazing times in my life. Then suddenly He was finished having sessions with me. After some time I started feeling insecure and abandoned and had the feeling that I needed to do Primal. So I wrote Osho telling Him I wanted to do the Primal group. He sent me a message saying no need to do the group. I was stubborn and wrote back that I really wanted to do it. He said, Okay, then do it. I did the group, and it was the only time I did a group that felt like I was definitely in the wrong place. I felt lost in the group and did not get much from it. It was a wake-up call to take Osho’s guidance seriously. There is a time for therapy and a time for meditation. This was a time I needed to go deeper in meditation, not therapy. Osho saw that to have true transformation we have to practice and live in meditation. Moment to moment He formed the sangha, the spiritual community. For me, much of His teaching and my self-discovery happened while living in the community. Now that Osho is no longer in the body giving me guidance and answering questions, I need more outside help. When I am stuck in some love story or with work, I meditate, which helps, but if I go beyond my pride I see that I need help from someone. This is where a good healer or therapist can support me finding more clarity and awareness to discover a way through my difficulty. I am also aware that to keep my longing for truth burning, which is always uncomfortable, I need outside help. Here the Path of Love work has helped me a lot. Osho was stoking the fire of my longing. Now I need to keep it burning without Him. It is too easy to get lost in the desires and survival needs in the world without a living Master and His commune. So I look for help from therapists and different healers to keep this fire burning. My name means “seeker of truth,” so for me to stay true to that name I need both therapy and meditation. Is that true that you have declared your therapists to be the best in the world? 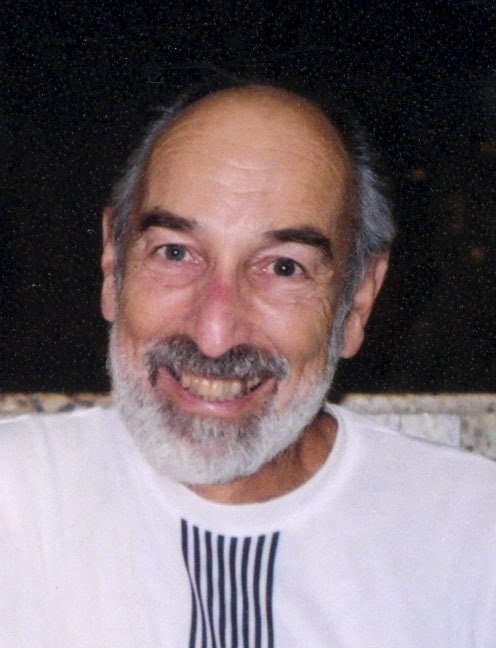 And what makes the difference between them and the famous therapists of the Esalen Institute? Yes, my therapists are the best in the world, for the simple reason that other therapists are only therapists; they are not meditators. My therapists are meditators too. Therapy is a superficial thing. It can help to clean the ground, but just to have a clean ground is not to have a garden. You will need something more. Therapy is negative; it simply takes away the weeds from the ground, removes the stones from the ground, prepares the soil for the garden. But there its work ends. So I repeat: My therapists are the best in the world. And any therapist in the West, if he wants to become a real therapist, has to come to me. He has to come to meditations, and he has to create a synthesis between therapy and meditation. Then only will he be a real therapist; otherwise he is just doing half a job – which is very dangerous. It is like doing partial surgery on a person and leaving him with an open wound. It would have been better if you had not touched him. If you have opened his wound, it is better you do it completely. And that's what is happening in the West: The psychotherapists and other therapists are opening people's wounds and leaving them incomplete. They are creating a very dangerous situation for the person. He will find himself in more anguish than he had ever been. Now is the time that psychoanalysis should come to meet with meditative methods. East and West, unless they meet and merge with each other, will remain half and half. They are not complete in themselves. Together they can be complete – and completion of anything has a beauty of its own.